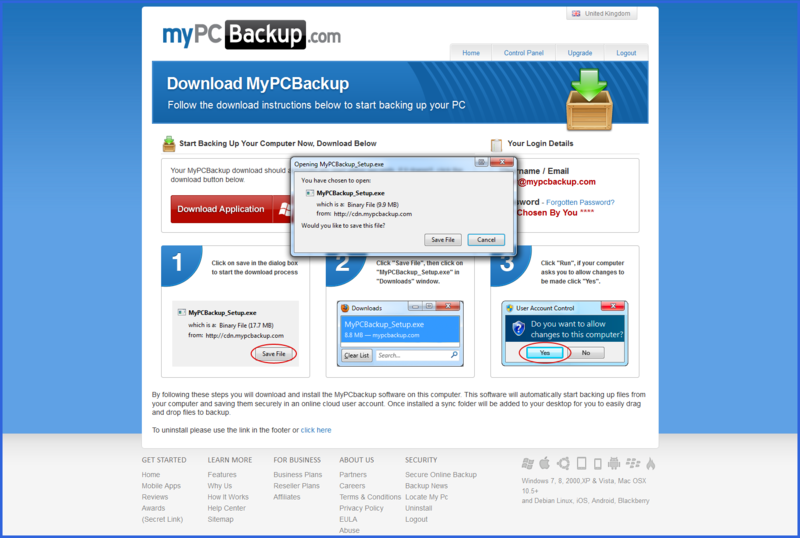 MyPC Backup users have one of the most intuitive all-round online backup services on the market! Our 100% Automated Backup feature independently handles the entire backup process of your computers, notebooks, and portable devices, be it your favorite music, videos, photos, or vital documents. Worldwide access to your backed up files is also possible, at any time, and from any of your desktop or mobile devices. That was before you had online backup, though. Because as a MyPC Backup customer, you of course no longer have to worry about the aftermath of a data disaster! From the new computer, login to your control panel through your web browser. Click on LOGIN, then enter your email address and password, and click LOGIN. 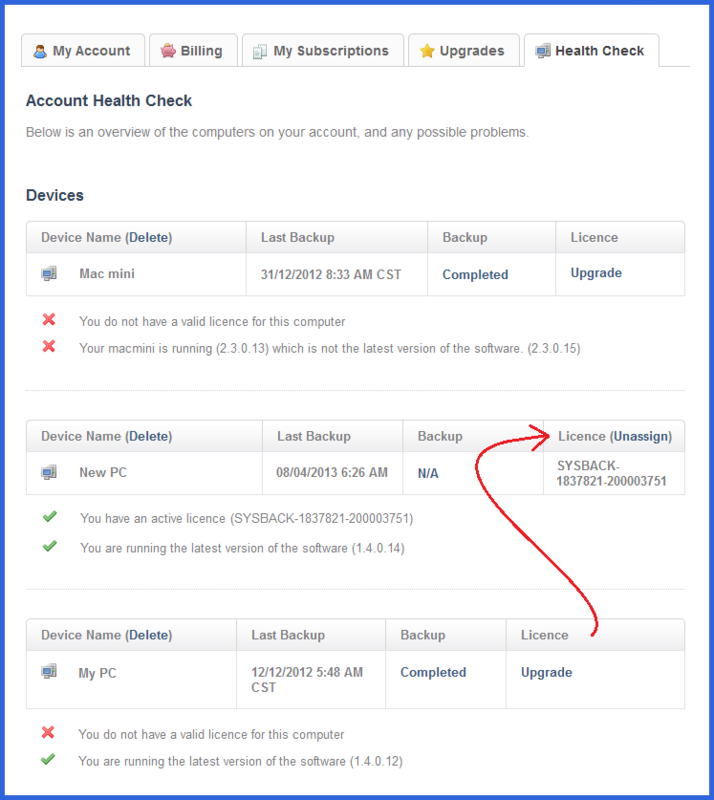 You now need to download the MYPC BACKUP DESKTOP APP. Click DOWNLOAD (bottom left corner of the navigation bar). Save the SETUP FILE to your desktop or another location of your choice, and complete the installation. Once done, you may also like to adjust certain settings in the desktop app to suit your needs. In your web browser, you need to click YOUR ACCOUNT, followed by HEALTH CHECK. This screen displays an overview of your linked devices. Your old computer currently has your license assigned to it. You need to simply un-assign the license and re-assign it to your new computer. Click UN-ASSIGN, followed by YES in the confirmation window which appears, then REASSIGN. 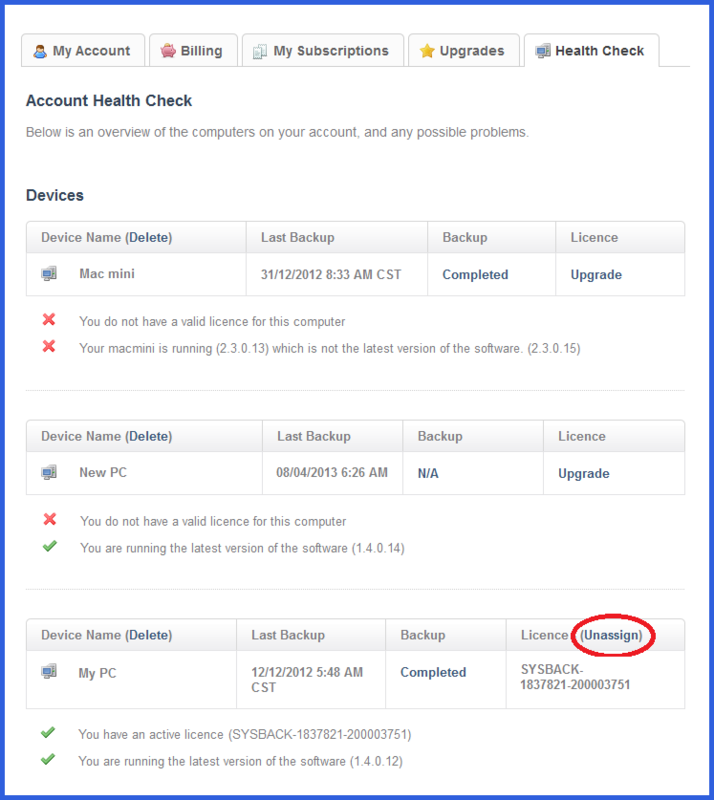 The screenshot below shows how the license has been transferred from MY PC to NEW PC. And it’s as hassle free as that. You’re back in control of your online backup account and all features, just from a different computer. If you wish to backup from multiple computers frequently, there is always the option to purchase multiple licenses—something many of our users find very useful. 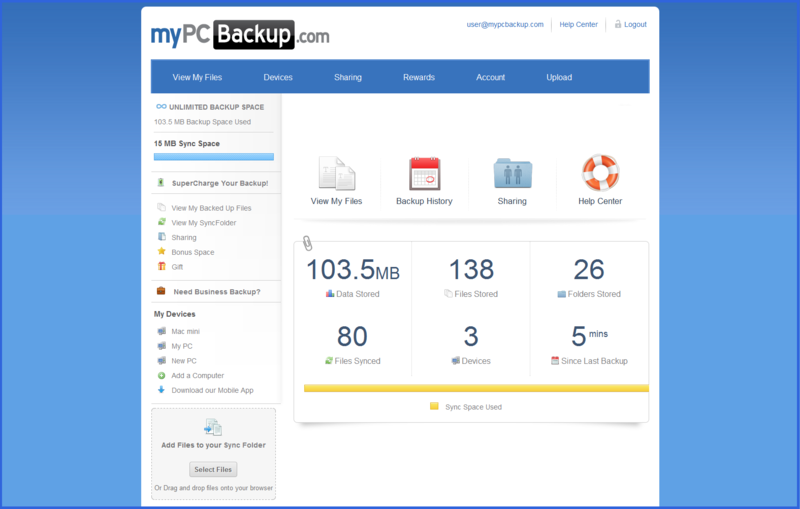 If you haven’t experienced our online backup service yet, why not give our Trial Version a whirl? It’s completely free and will give you a nice taster of our acclaimed features.